The telecommunications industry has experienced unprecedented growth, both in the private and public sector with the advancement in IP network technologies. The infrastructure that supports this growth can barely be built to keep pace with the demand for service. Integrity Data & Fiber, Inc. in Sacramento, CA recognizes this business potential and is in a position to provide a unique, clean style in building network infrastructure. 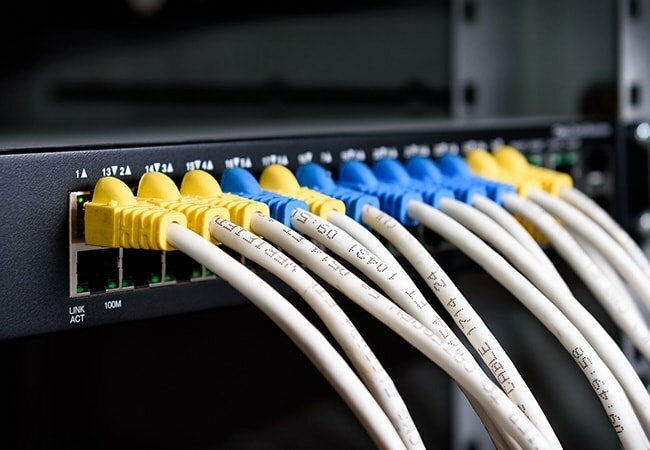 From data cabling to fiber optic connections, we offer a range of telecommunications solutions designed to boost your business processes. About Integrity Data & Fiber, Inc. Integrity Data & Fiber, Inc. is an employee-owned company established in 2000 and licensed as a C-7 California State Contractor. Our telecommunications company was created on the theory that highly skilled, well-compensated individuals—given the opportunity to own their own business and steer its direction—could not only successfully compete in their respective industries but also provide outstanding customer service, ensuring repeat business. In contrast to other hierarchical companies that utilize project managers, supervisors, lead technicians, apprentices, and laborers, we are comprised of employees that individually have all of those qualifications. This allows us to provide the best products to our customers. Improve the efficiency of your day-to-day business operations. Partner with our company and allow us to provide the best telecommunications solutions that meet your business’s requirements. From data cabling to network infrastructure design, we have you covered. Give us a call today to schedule a consultation with our experts.